Throughout the territory of the Province of St. Joseph, our Dominican friars engage in four primary ministries: preaching the Word through various forms of evangelization; teaching and scholarship; parochial service; and foreign missionary work. The friars of Holy Innocents Rectory serve at Holy Innocents Parish. 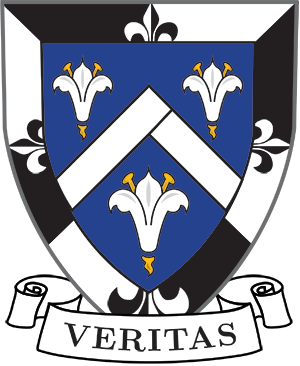 The friars assigned to the Priory of the Immaculate Conception are connected as professors and students with a variety of institutions and apostolates, including the Pontifical Faculty of the Immaculate Conception, The Catholic University of America, and the Thomistic Institute as well as publications such as The Thomist and Dominicana Journal. The friars of Saints Philip and James Rectory serve at Saints Philip and James Catholic Church and University Parish and at the Johns Hopkins University Catholic Community. The friars at St. Catherine of Siena Priory serve in a variety of ministries, including the Parish of St. Vincent Ferrer and St. Catherine of Siena and the Dominican Friars Health Care Ministry of New York. The friars of St. Dominic Priory serve in a variety of ministries in Washington, DC, including St. Dominic Church. The Priory also houses the St. Dominic Studentate of the Province of St. Joseph. The friars of St. Dominic Priory serve at St. Dominic Church. The friars of St. Gertrude Priory serve at a variety of apostolates including St. Gertrude Parish. The priory also houses the Novitiate of the Province of St. Joseph. The friars of St. Joseph Rectory serve at St. Joseph’s Church in Greenwich Village and at the Catholic Center at NYU. The friars of St. Joseph Rectory serve at St. Joseph Church and Holy Trinity Church in Somerset, OH. The friars of St. Louis Bertrand Priory serve at St. Louis Bertrand Church and the University of Louisville. The friars at St. Mary Priory serve at a variety of apostolates, including St. Mary’s Church. The friars of St. Patrick’s Priory serve in a variety of apostolates, including St. Patrick Church. The friars of St. Patrick Rectory serve at St. Patrick Parish, St. Hubert Catholic High School, and other various ministries. The friars of St. Pius V rectory serve in a variety of apostolates, including St. Pius V Parish and the Brown-RISD Catholic Community. The friars of St. Rose Priory serve at the St. Rose Priory Church. The friars at St. Thomas Aquinas House serve Aquinas House, the Catholic Student Center at Dartmouth College and St. Denis Parish. The friars of St. Thomas Aquinas Priory serve at a variety of apostolates, including St. Thomas Aquinas University Parish and Catholic Student Ministry at the University of Virginia. The friars of St. Thomas Aquinas Priory serve at Providence College. The friars at St. Vincent Ferrer Priory serve in a variety of ministries, including the Parish of St. Vincent Ferrer and St. Catherine of Siena, the Dominican Friars Health Care Ministry of New York, and the Provincial Office of the Province of St. Joseph. The Dominican friars of Siena House serve at St. Catherine of Siena Parish. The friars of St. Dominic’s Priory serve in a variety of ways, including through the St. Dominic Studentate for the Eastern Africa Vicariate. The friars of St. Martin de Porres serve in a variety of ministries, including the Novitiate for the Eastern Africa Vicariate.